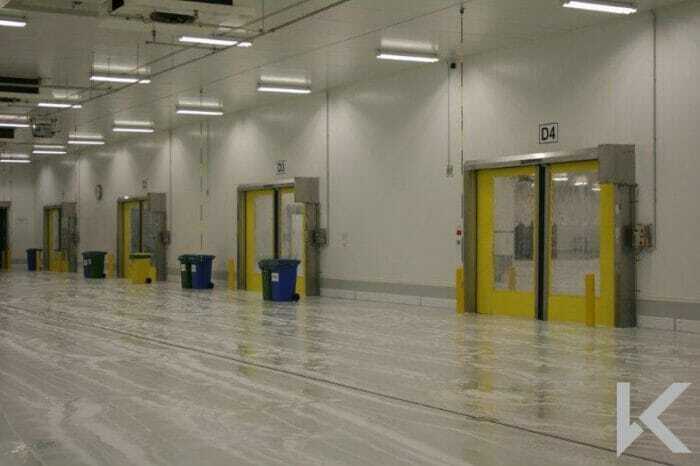 Rapidor Sprint bi-parting speed doors roll to either side of the opening and provide very fast opening speeds of up to 3000mm/second. 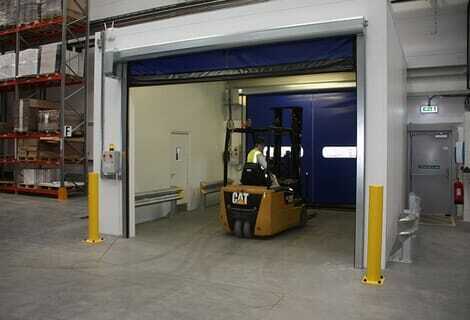 Bi-parting doors have the added benefit of improved visibility for forklift drivers to reduce the risk of collision. 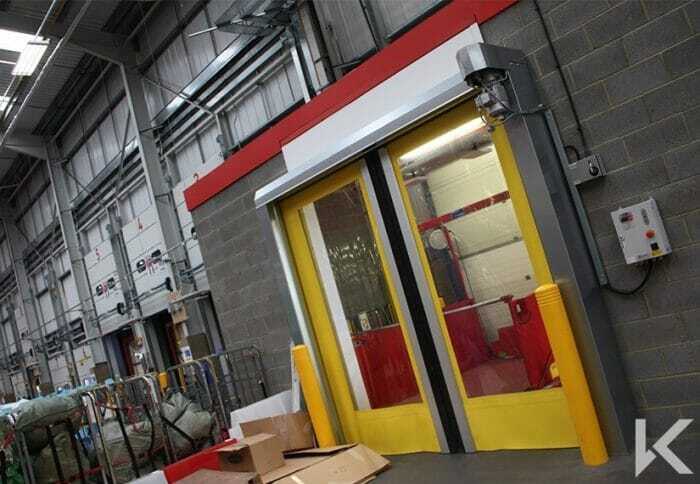 Suitable for both interior and exterior use, the doors also feature an anti-crash system to minimise damage in the event of impact. 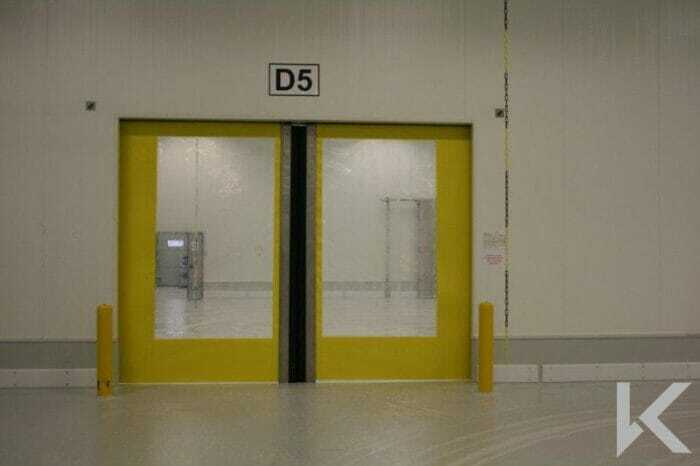 These doors are also useful for areas with low headroom availability. 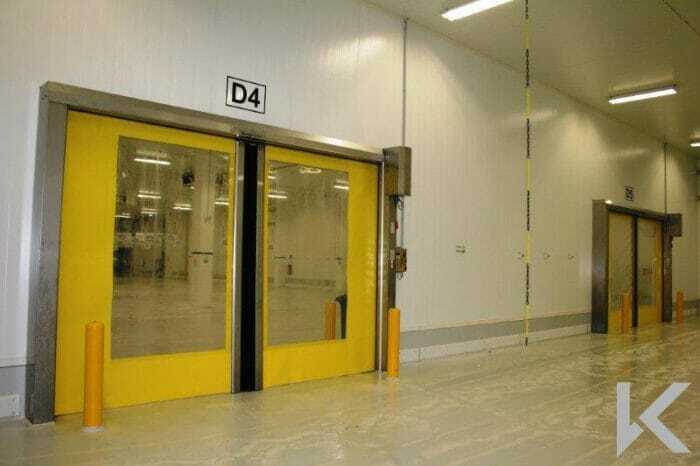 As standard the door frame is constructed from galvanized steel; however it can also be manufactured from stainless steel for specialist requirements such as the food industry.